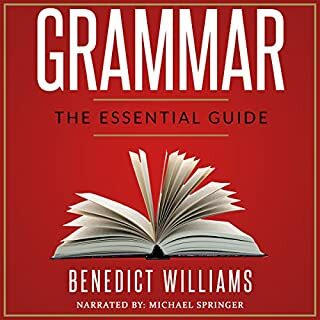 A clear, concise and easy to understand guide to English grammar, punctuation and usage, this book includes simple explanations of grammar, punctuation, and usage. Appropriate for all ages, this authoritative guide makes learning English grammar and usage simple and enjoyable. This book is fully updated to reflect the latest rules in grammar. Where does Grammar rank among all the audiobooks you’ve listened to so far? I'd write some of this stuff down. The facts are good and it has good examples. Good reading voice also. I would recommend, but I could not memorize the items because it was really bulky with information and it goes through it rather quickly. To utilize this material, listen to small portions repeatedly and then move on so you can remember it or take notes. Just a suggestion. Very good to know. interesting perspective. I feel like people should read this. it's important in a lot of circumstances. For instance, he mentions loving by giving absolute attention and eye contact to somebody for an amount of time to show love. I work in customer service and I am spiritually/philosophically minded as well. 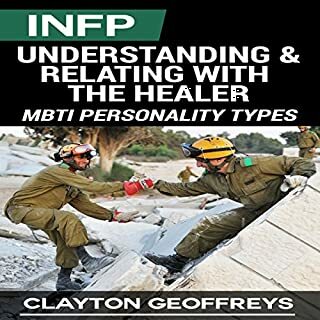 I feel knowing this could help me display love to the people I see in a way they might understand more. He also talks about repairing relationships, of course. I like his views because they make sense. 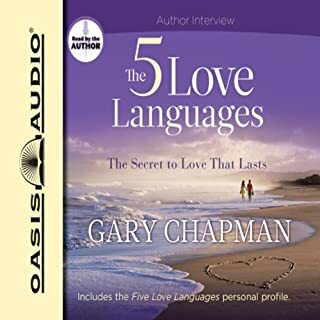 I really think it's worth the time to listen for any relationships in life, even beyond the romantic ones. Helped make sense of who I am and hope to improve myself. Worthy buy. Plus, you can learn a lot about others too. 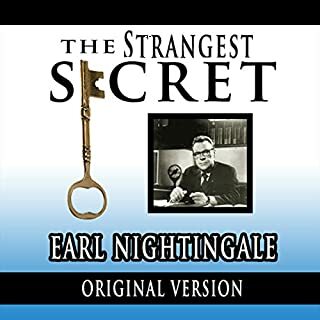 I'd like to tell you about the strangest secret in the world. Not long ago, Albert Schweitzer, the great Dr. and Nobel Prize winner was being interviewed in London and a reporter asked him, "Doctor, what's wrong with men today?" The great doctor was silent a moment, and then he said, "Men simply don't think!" And it's about this that I want to talk with you. We live today in a golden age. This is an era that man has looked forward, dreamed of, and worked toward for thousands of years. But we take it for granted. Your Life Can Never Be the Same Again. Love the enthusiastic narration. It keeps me listening actively. The message also really resonated with me. It's a basic law of attraction audio, BUT I use it to pep me up every few days because it's so short, it keeps you emotionally engaged, and it helps keep me mindful. Hope others enjoy the audio as well!